FRANKFURT/BENGALURU (Reuters) - European and North American regulators have found a second toxin that may cause cancer in humans in a commonly used blood pressure drug made by Chinese firm Zhejiang Huahai Pharmaceutical Co Ltd.
Health regulators in the European Union, United States and Canada had already recalled drugs made with the company's active pharmaceutical ingredient valsartan after finding traces of the chemical N-nitrosodimethylamine (NDMA), considered a potential human carcinogen, in the medicine. 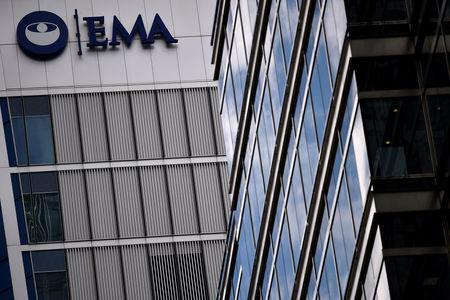 On Thursday, the European Medicines Agency (EMA) said a different chemical, N-nitrosodiethylamine (NDEA), had been detected in products produced before 2012. The U.S. Food and Drug Administration (FDA) also said it had detected the chemical in the recalled drug. Valsartan is a generic drug that had global sales of 10.4 billion pills last year, including combination products, according to healthcare data consultancy IQVIA. People with high blood pressure typically take one pill daily, and others take two pills if they have congestive heart failure, in which the heart fails to pump adequate blood. More than 50 companies around the world making finished tablets from the tainted valsartan have recalled products in recent weeks, according to a Reuters analysis of records at national medicines agencies. They include major generics manufacturers such as Teva Pharmaceutical Industries, Ranbaxy Laboratories and Sandoz. Based on the average NDMA impurity of 60 parts per million (ppm) detected at Huahai, the EMA has said there could be one additional case of cancer in every 5,000 people taking the highest dose for seven years. The valsartan recalls have focused on products produced after 2012, when there was a change in the Chinese company's manufacturing process. Now, after finding the second toxin, the EMA is looking at product made before 2012 as well. Both chemicals are a by-product of the manufacturing process. "In addition to NDMA, EMA is assessing the impact of a related substance, N-nitrosodiethylamine (NDEA), which has been detected in valsartan made by Zhejiang Huahai, using its previous manufacturing process before changes were introduced in 2012," it said in a statement on Thursday. The FDA said the latest testing of products found NDEA in three lots of valsartan produced by Indian firm Torrent Pharmaceuticals Ltd that were part of its broad valsartan recall in August related to NDMA. Torrent makes valsartan tablets using active pharmaceutical ingredients from Zhejiang Huahai. The FDA said it is continuing to test all products that contain valsartan for NDEA and related impurities, and will work with companies to ensure that all affected products are removed from the market, if they have not already been recalled. Separately, Canada's health watchdog said it has also found NDEA, but noted all drugs containing valsartan manufactured by Zhejiang Huahai had already been recalled in Canada after the first impurity was identified in the summer. Zhejiang Huahai did not respond to requests for comment. A Torrent representative declined to comment.